When we said goodbye to our teenage years, most of us had hoped to see the last of benzoyl peroxide tubes, cover-up sticks and all the other indignities that come with unsightly acne outbreaks. But here we are, dotting our face with ProActiv and testing birth control formulas to clear up our skin. However, what happens when you can’t or don’t want to go on birth control? Or Accutane? Don’t worry – you can still break free from blemishes. But first, we need to understand what causes hormonal acne. Women often experience a flare-up of zits from a few days to as much as a week before the onset of their menstrual period. This occurs as progesterone and testosterone (the male hormone), which tend to worsen adult acne, are highest during this time of the cycle. On the other hand, estrogen (female hormone) – which prevents adult acne – is highest in the first half of the menstrual cycle. When the body has excessive testosterone, it over-stimulates the skin’s oil glands and makes everything super-greasy. This oil mixes with dead skin cells and grime, blocking the pores and providing a breeding ground for bacteria. Once the bacteria multiply, they often cause inflammation, which leads to cystic acne. Got it? Now, read about the ways to beat hormonal acne without turning to toxic products or birth control. What’s the connection? A diet high in sugar and starch moves into the bloodstream quickly and makes insulin spike – and high insulin levels trigger hormonal imbalance. So, eliminate soda, sugar, caffeine, alcohol, highly processed foods, saturated fat, red meat, dairy products and white flour, especially during the days leading to your period. On the other hand, complex carbohydrates break down slowly and help keep blood sugar levels stable. Boost your intake of whole grains, plant-based proteins, good fats, colourful fruits and vegetables, green tea, and “good” sweeteners (such as fruit juice, natural organic honey, brown sugar or stevia). Soy foods, buckwheat, and ground flax meal are particularly beneficial. Commercially produced meat eggs, and dairy products are full of hormones, which are often injected or fed to the animals to promote growth. The hormones start in the cows and chickens, then make their way up the food chain and into our bodies, building up over the years to toxic levels. The solution? At the very least, look for organic meat and dairy products that are certified free of hormones. 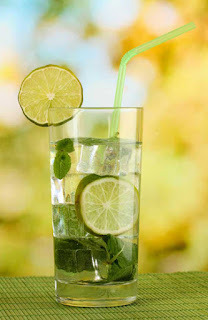 Water helps cleanse your liver and kidneys, allowing your body to excrete hormones efficiently. Doctors advice women to drink an ounce of water daily for every 2 pounds they weigh (if you weigh 128 pounds, you should drink 64 ounces, or 8 cups). And avoid caffeinated beverages: caffeine stimulates the adrenal glands to produce more cortisol (the stress hormone), thereby causing excessive anxiety, fatigue and other symptoms associated with PMS. As for alcohol, consuming too much can compromise the liver’s ability to metabolise estrogen, which can cause hormonal imbalance to rise – minimise its use or avoid it altogether. When under severe stress, we’re less likely to ovulate. If we don’t ovulate, it creates a serious hormonal imbalance during the second half of your cycle. Plus, stress also raises levels of cortisol, which causes other hormones to get thrown out of balance. Result? Painful adult acne. Exercise reduces stress, improves sleep habits, and helps excrete surplus hormones to prevent adult acne. For optimal health benefits, aim for a mix of cardiovascular and strength training. At the very least, go on a daily 30-minute walk – it will do wonders! Some cosmetics, night creams and moisturisers may actually block oil glands, worsening existing zits and causing new ones. Switch to products that are oil-free, water-based and non-comedogenic (won’t clog the pores). Tea tree oil is a natural astringent and antibacterial, making it a terrific ingredient in the battle against hormonal acne. Getting eight uninterrupted hours isn’t easy when your sleep cycles are being disrupted by hormonal imbalance but it’s crucial. That’s because sleep is when the body makes hormones. Plus, our body systems, including the hormone system, heal and repair optimally between 10 pm and 2 am. So, try to get into bed by 10 pm and sleep in a cool, dark room. Can’t relax into a deep slumber? 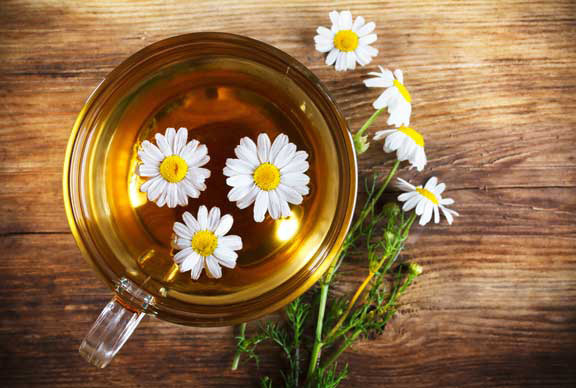 Drink a cup of chamomile tea before bed. Or try some aromatherapy – simply add a few drops of lavender to a tissue and tuck it under your pillow. Flax: 2 tablespoons of flaxseed oil or 4-6 tablespoons of ground flax meal to help promote more frequent ovulation. Vitamin B complex: 25-100 milligrams of a good multi-B formula to help support the liver so it can process estrogen more efficiently. Vitamin C: A premier antioxidant, vitamin C helps clean up toxins created by the body in nearly every one of its chemical processes, including the manufacture of hormones. Take 600-2,000 mg.
Magnesium: This mineral is critical to helping the body produce energy and for keeping the cycle of hormone production and excretion in check. Take 500-600 mg.
Calcium: Essential to maintaining healthy bones, calcium also helps reduce moodiness, food cravings, and water retention, especially when combined with magnesium. Take 1,000-1,200 mg.
Herbsindole 3 carbinol: If you are coming off the birth control pill, indole 3 carbinol – an extract from broccoli and other cruciferous vegetables – is a terrific buffer against hormonal imbalance. Typical dose is 200mg twice per day and it is best to take it for 3 consecutive months. Angelica: This herb can be the pathway to clear skin, especially if you are dealing with low estrogen levels. You can use a tincture – 30 drops twice a day or capsule form (follow the dosage on the label). But stop taking Angelica or reduce the dosage if you find you get breast swelling or tenderness. Give these changes a try. If you notice that between days 15 and 28 of your cycle you’re less edgy and crave fewer sweets, you’re on the road to natural balance.